Just because the cold weather has arrived doesn’t mean your love for the outdoors has to stay tucked away inside. Winter hiking and camping is just as fun as warm-weather activities, as long as it’s done right. So what exactly do you need before you head out on a snowy hike? We’ve compiled a list of a few important pieces of gear you’ll need along with a few tips to make sure your winter hiking and camping activities are successful. First, let’s start with clothing. You should always wear layers that can protect you from the cold. A base layer should consist of clothing that can wick perspiration, a second layer should consist of insulation, and a possible third layer should keep you warm and dry. If you wear layers, you can take them off as needed throughout your hike but you’ll still be prepared for the cold temperatures. You should also make sure your skin is covered — any skin that is exposed could be subjected to frostbite. So make sure you have proper gloves, hats, facemasks, and boots. When it comes to gear, you’ll need a sturdy backpack to carry all of your belongings. Because winter activities often require extra and bulkier items, you should invest in a larger backpack to fit everything. You pack should be lightweight but durable and easy to carry. If you’re going camping, you need to invest in a cold weather sleepinging bag. When choosing a sleeping bag, you should consider one with plenty of synthetic insulation, one with a draft collar or good, and you may even want an extra sleeping bag liner for added warmth. If you plan on eating while out and about, you should also invest in a portable stove. Because it’s more difficult to start a fire in the winter months, a stove can help to make quick meals easy. Fortunately, camping stoves have come a long way over the years. With manufacturers contributing $2.17 trillion to the economy each year, there are plenty of new and improved hiking and camping stoves and other gear to choose from. And lastly, you should always bring a first-aid or emergency kit with you. People tend to think about first-aid needs more in the warm weather, especially with dangers like poison ivy, which 85% of people are allergic to. But first-aid is just as important in the colder months. You should bring the basics like band-aids, antibacterial wipes, and gauze but also make sure you have additional items like emergency blankets and sunscreen. Being prepared for the worst will make sure you can handle anything that comes your way. 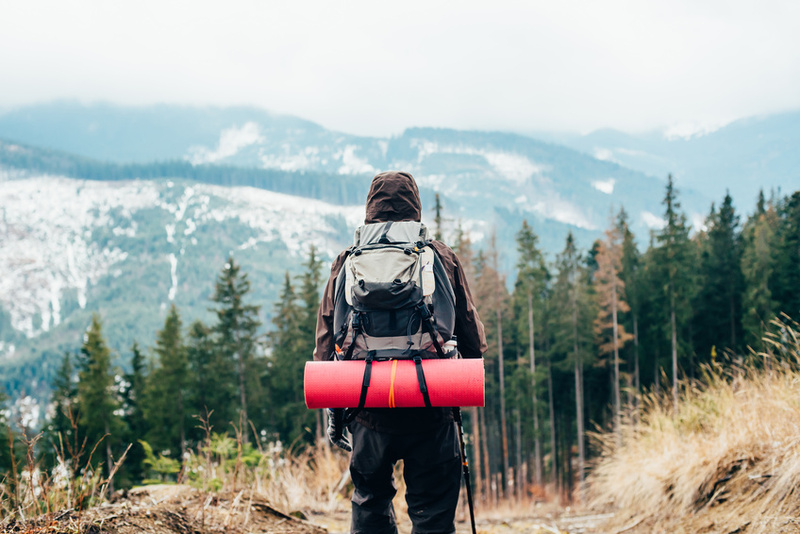 Going hiking and camping during the winter months can be an amazing experience. And by following these simple tips, you can make sure you enjoy your activities safely.